MAPP aligned PhD student Affaan Moosa was one of the winners in The Minerals, Metals & Materials Society (TMS) Young Professional Poster Competition. 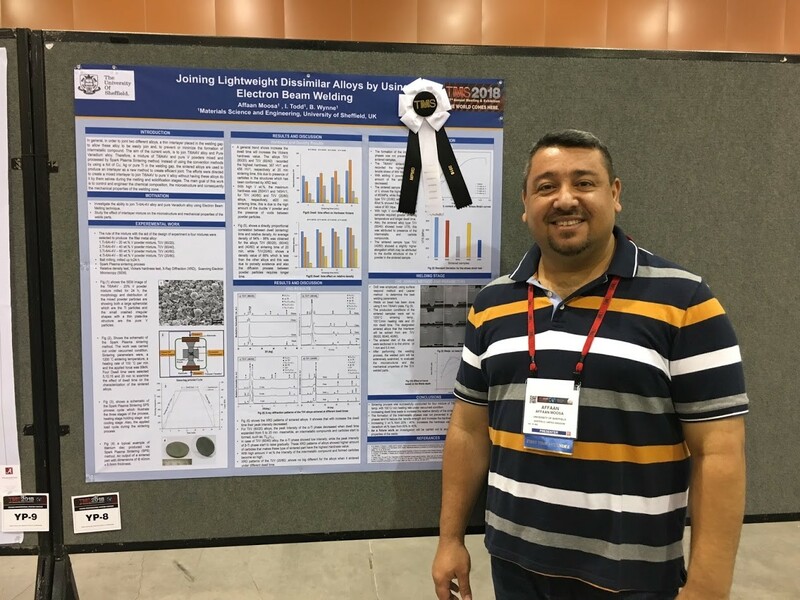 Posters by early-career professionals were honoured for excellence in several TMS technical divisions, at the TMS 2018 Annual Meeting & Exhibition, in Phoenix, Arizona. Entries were received from all over the world. 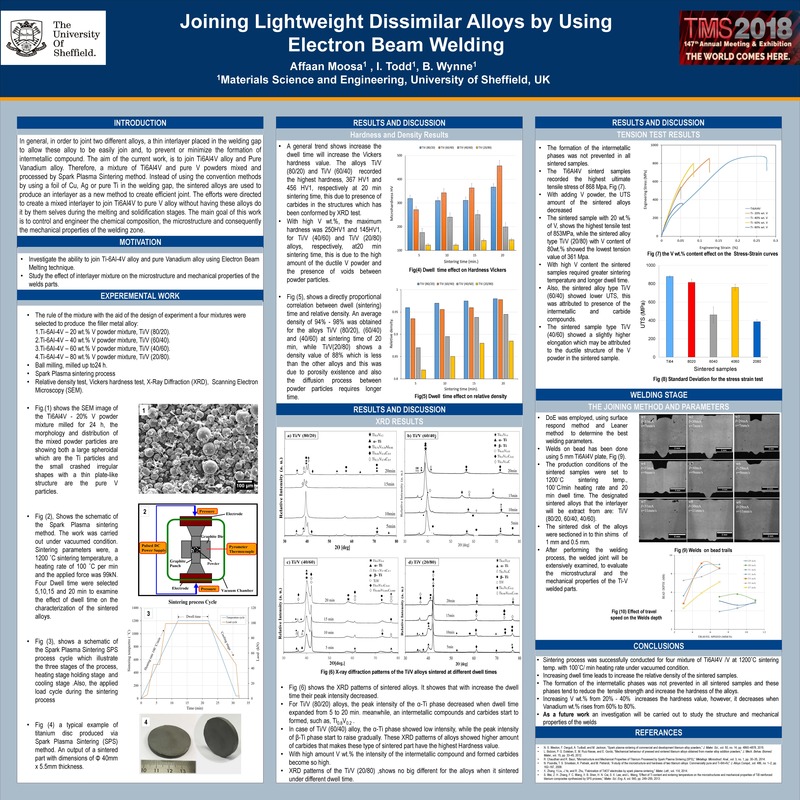 The poster, titled "Joining Lightweight Dissimilar Alloys by Using Electron Beam Welding," won in the Materials Processing & Manufacturing Division. Affaan Moosa, the Department of Materials Science and Engineering, at the University of Sheffield, said: "Nearly 4,300 attendees and 88 exhibitors were at the event which had a varied and interesting programme. It was fantastic to be judged one of the winners in the poster competition. "The poster showed the study of joining titanium alloy type (Ti6Al4V) to pure vanadium alloy. This work, specifically, focuses on using an alloyed interlayer produced by spark plasma sintering of different powder mixes and the effects of the sintering process on the different alloys interlayers' properties."